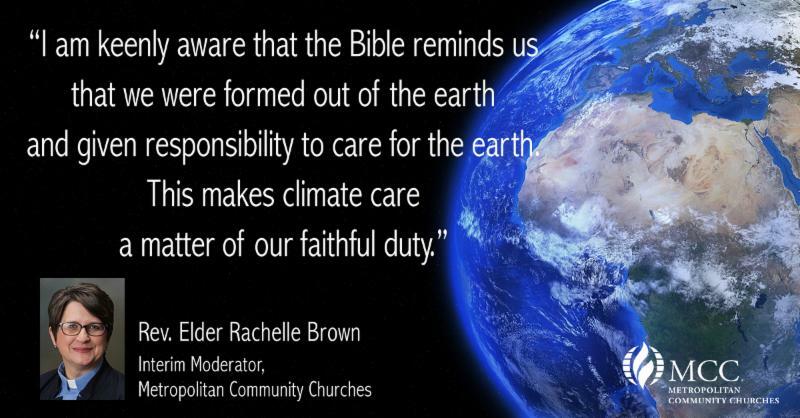 U.S. President Donald Trump’s announcement of withdrawal from the Paris Climate Accord brought condemnation from global church leaders of the highly influential Metropolitan Community Churches (MCC). With churches in Europe, Asia, Africa, Latin America, and North America, MCC leaders were quick to point out that Trump’s unilateral decision will hurt the poorest of the poor around the world who live in vulnerable locations with fragile shelters. “Mr. Trump can deny science until he is blue in the face, but it won’t change the reality that our climate is rapidly deteriorating because of human activity, and we need all the efforts of all of the nations to stop global warming. I am disgusted that the United States now joins only Nicaragua and Syria as the only nations not on board with the Paris Agreement,” said Rev. Rich Hendricks, Senior Pastor of Metro Community Church of the Quad Cities, Davenport, Iowa, USA. “Mr. Trump’s action is shameful and, no doubt, will be remembered as a regrettable moment in U.S. history as the day the earth stood still and listened — while the door of reason, human decency, global responsibility, and personal integrity slammed shut. May we become united in honoring the Paris Accord in every home, city, and state across this country, appropriately leaving the White House standing alone where it has chosen to stay-in the past,” said Rev. Aaron Miller, Senior Pastor at Metropolitan Community Church of Hartford, Connecticut, USA. Rev. Miller and Rev. Hendricks are Co-Chairpersons of MCC’s Creation Care Committee.